On a Tuesday night in early June, Barret and I poured over the New Zealand Film Festival guide. 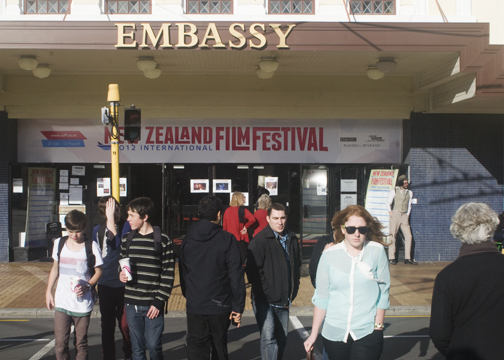 The New Zealand Film Festival was opening in a few weeks and the tickets had just been released for sale. There were so many interesting films in the guide that Barret and I came up with a system to rate them. I assigned a preliminary star to which Barret gave a numerical score. I didn’t quite understand his scale, but it made him feel like he actually had a say. The last film festival we attended, the Busan International Film Festival, took place in South Korea. It was the northeast Asian version of Sundance and extremely hard to get passes for- especially the star-studded opening. The tickets had gone on sale while I rode the bus to work and by the time I logged in at work almost every film was sold out. So on that Tuesday night, knowing the NZFF tickets had been on sale since morning, Barret and I prepared a list of 15 films we wanted to see. One of our top choices, Beasts of the Southern Wild, was the official opening night film. Although I was certain the tickets were already sold out, I decided to try my luck anyways. I was excited because I hadn’t attended a film festival opening before and I also had not been to the Embassy. I had been mooning over the art deco design of the Roxy theater without realizing that this landmark building from the 20s was a gem in itself. 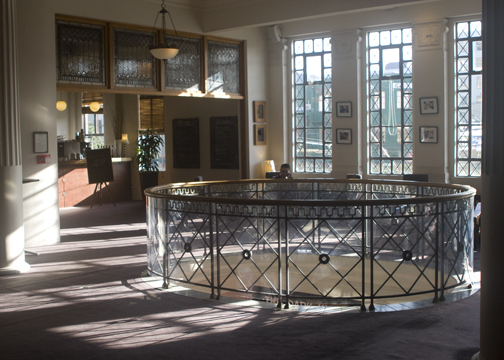 The walls of the lobby were decorated with beautiful tile work that delicately curved up the stairwells all the way up to the second level. While there might not have been any red carpets or limousines like there was the night The Return of the King premiered, it was easy to imagine a celebrity sipping a glass of wine by the glass terrace before being ushered to their seats. Beasts of the Southern Wild was screening inside the main theater, which was so large it had two spiral staircases leading down to the front row seating. It almost made neck-craning seem desirable and refined. Almost. The festival organizer gave a short speech in which he sounded both satisfied and completely exhausted, the audience gave a polite clap and then the opening credits began to roll. It might not have been the most special special-screening and yes the theater was very crowded, but I could see why premiers are so popular. You just can’t capture the element of excitement and anticipation you feel from sitting amongst 1,000 other movie goers on Blu-Ray.